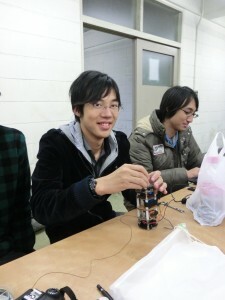 On Nov. 29, participants were also building a Flight Model of Cansat. 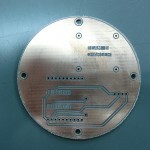 Drawing Circuits, drawing a layout, soldering, operation check and so on. 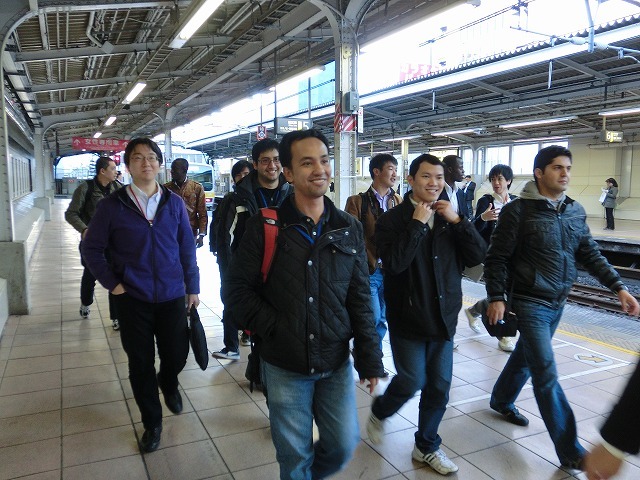 today I’ll write about the Nihon Univ. students side, what we do everyday and what we are thinking about every time. To sum up the activities of Nihon Univ. 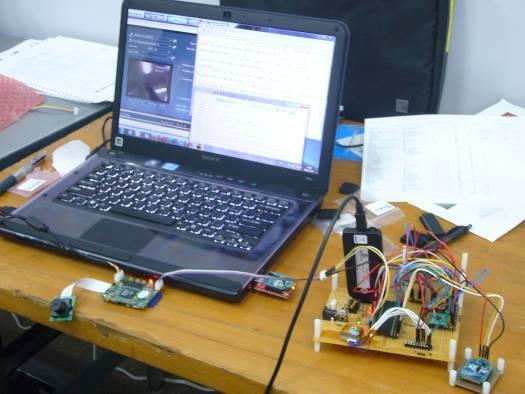 students at CLTP2, our role is to support participants so that they can build a Cansat by themselves and they can spread the Cansat project by themselves in them home country　in the near future. 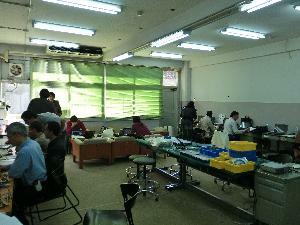 Some of students are still working after workroom closed at 8PM. She was revising tracks for CLTP2. As far as I can see, they are professional engineers, who had ever built Cansats and have been developing satellites in Nihon Univ. I feel proud of them, and have a lot to thank them for the supports. 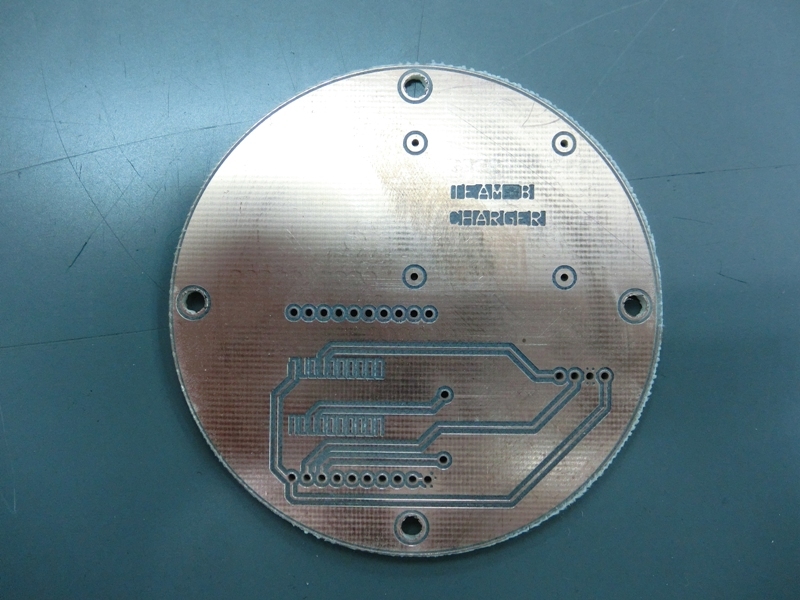 He was making PCB for CLTP2. Nihon Univ. students are also “students”, they have to attend the classes to graduate, and some of them have to work as teaching assistant. Then, they all work with participants and operate CLTP2 so that the Cansats will be built asap, and work hard behind closed door. 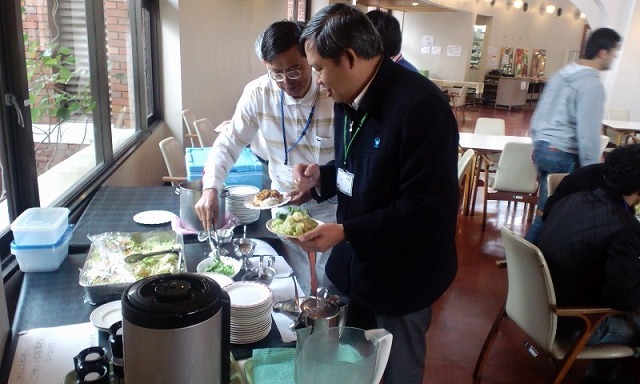 Today is the 15th day of CLTP2. 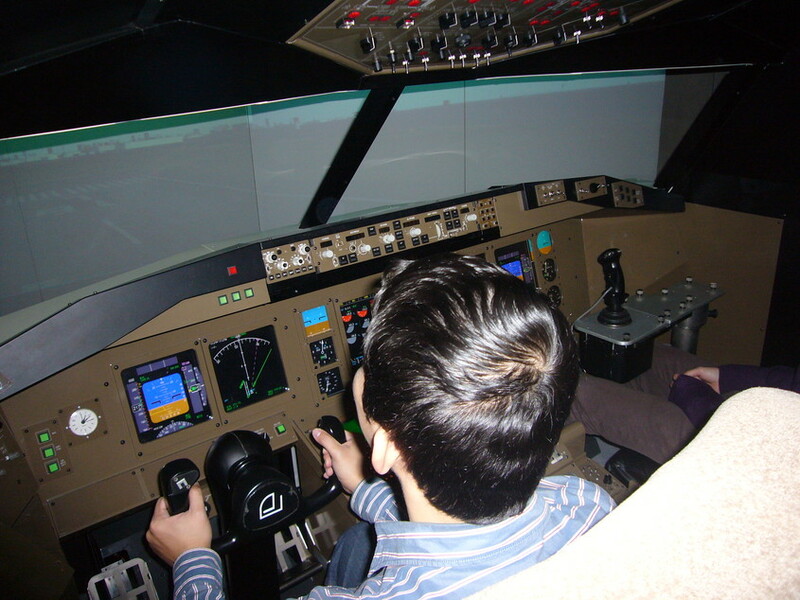 Today, we started making Flight Model at last! 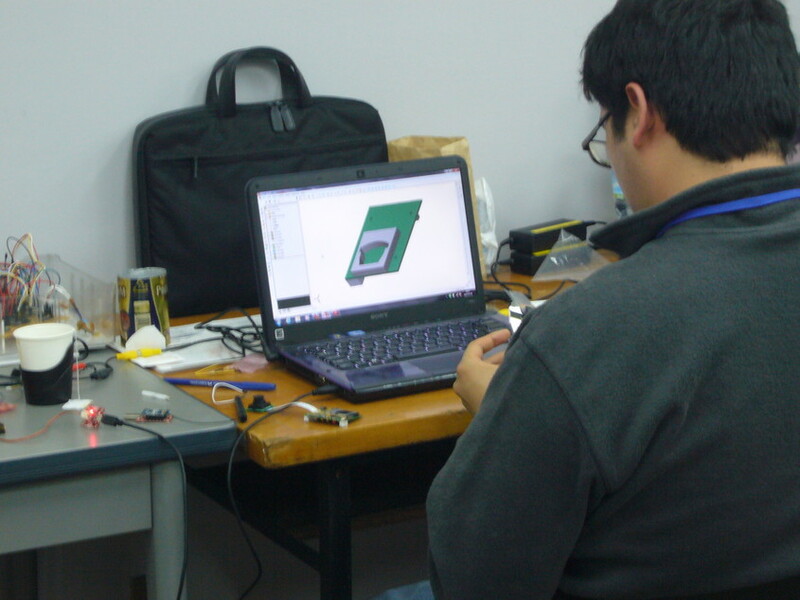 We’re working on drawing 3D-CAD and PCB design, checking the components, and so on. We will complete FM by Saturday. 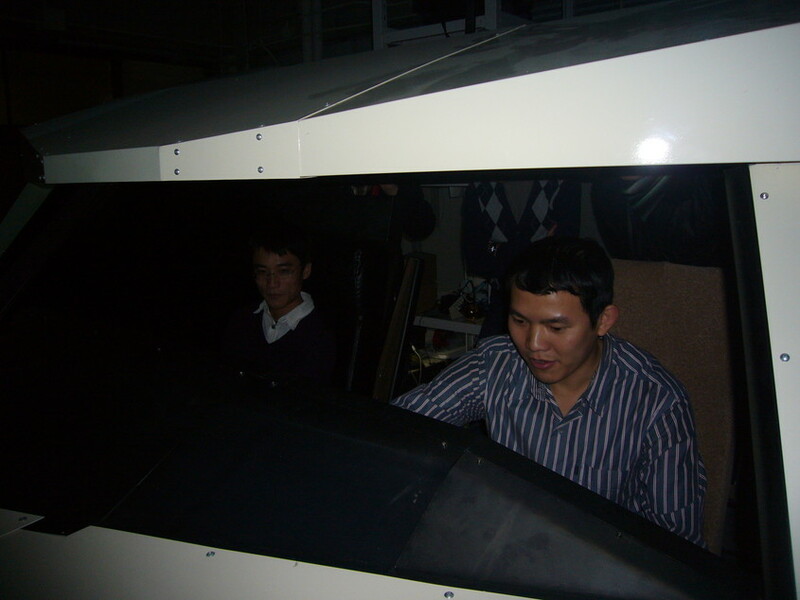 By the way, after today’s work Mr. Thu experienced the Flight Simulator of Nihon University. He is a good pilot. He intends to try it again after completing FM. I wish him success of his plan. 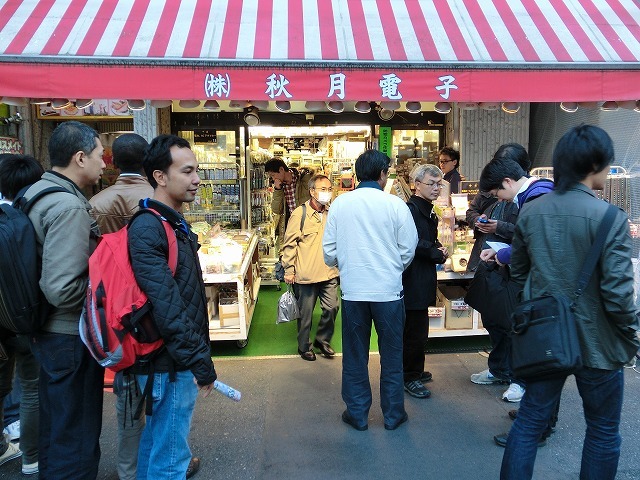 We introduce an event in today’s CLTP2. There was a midterm review this morning. 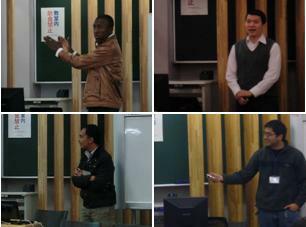 Everybody performed eagerly last confirmation before the presentation. 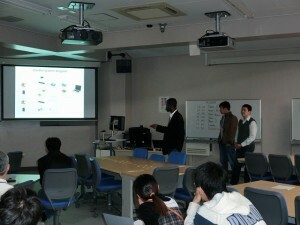 Each team presented the progress. We cannot help to be amazed that they have done brilliant work in five days. After presentation, there are many questions with much interest more than Monday (M/SDR). After all, we become easy to ask them questions when an idea is realized. Apart from it, I (= Kamemura) must better my poor English. 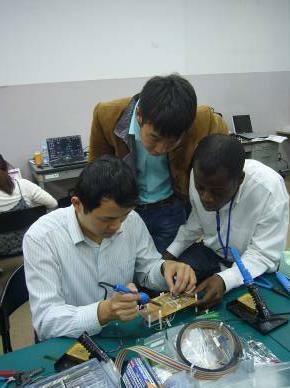 When review was over, they continue the development again. 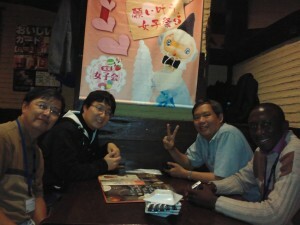 Two weeks passed since we met them for the first time. When I looked back, It was very short. Their Cansats should be completed in next week. Because we have short time from now, anyway, we want to do our best, too. Today is the 3rd day of BBM development. 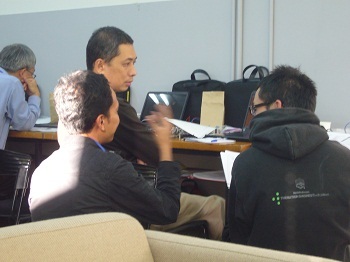 Mr.Kamemura tells Mr.Syahrim how to put parachute on Cansat. Mr. Renato discusses BBM development with Thu. Today, we continue to develop BBM. Everyone did their best. Tomorrow, We have midterm review . Today is the 2nd day of BBM development. They are team A and making the BBM board. 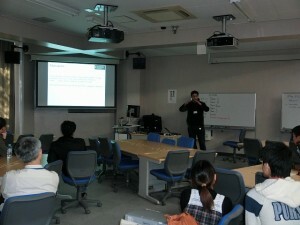 Mr. Isomura lectured about how to use camera module to Mr. Nnadih. 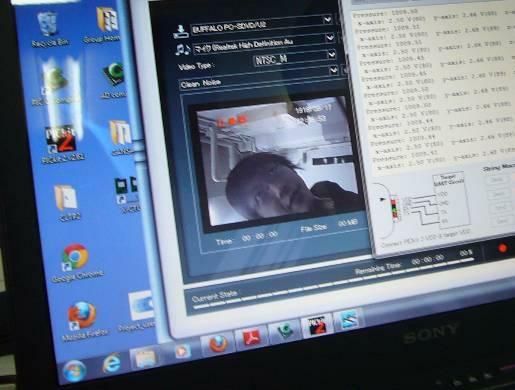 Camera module runs like this. 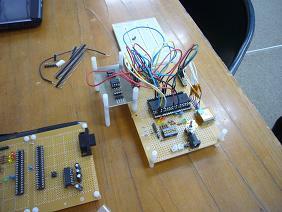 Team D combined some components and ran program. Their speed of development is very speedy!! It will not be long before they complete making BBM model. 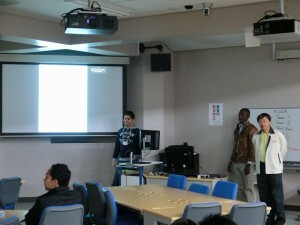 BBM development was carried out from this morning. 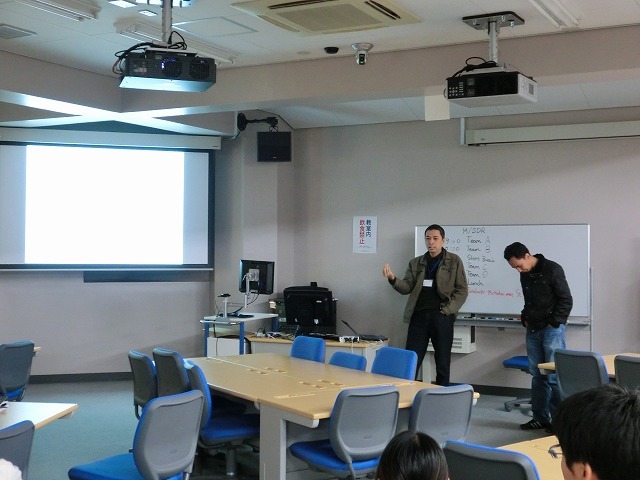 There was a lecture by Mr.Nakasuga. and BBM development was starting. PDR is scheduled for Saturday(Nov, 26th). Schedule is so tight , Keep up thegood work. 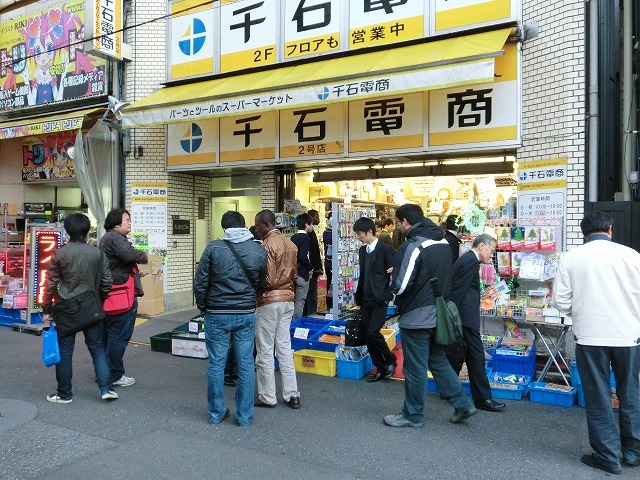 We performed MSDR today and went to AKIHABARA to buy parts of Cansat. 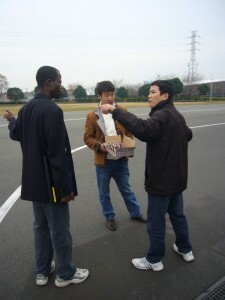 Missions of 4 teams were decided smoothly. 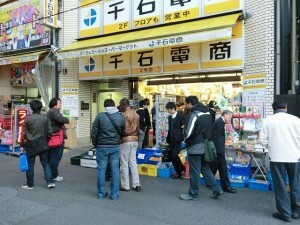 We went to Akihabara to buy parts of Cansat after M/SDR finished. Rocket test launching had been conducted today at Futawa experiment field. 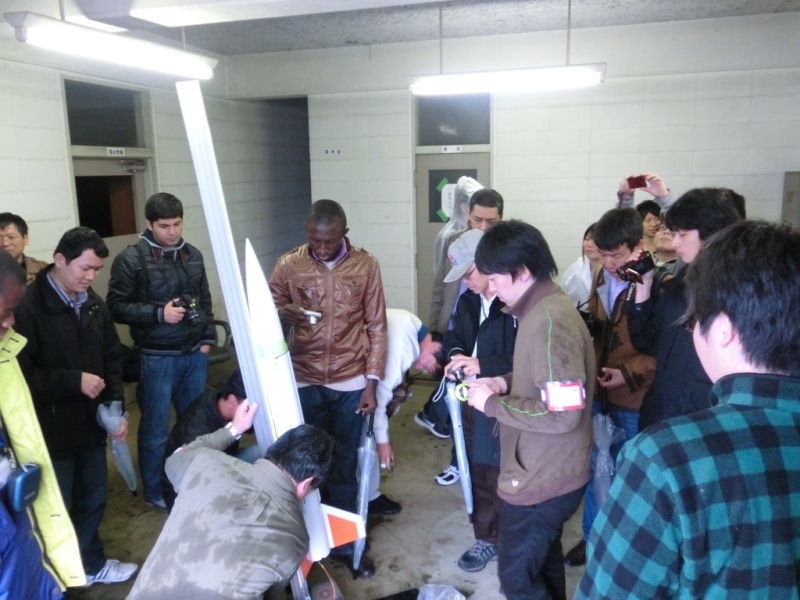 Although it was rainy, Cansat “Smoother” was launched as a payload . “Smoother” was developed by last year’s freshmen of Nihon Univ, and the mission of Smoother is soft landing using speed reduction by reeling parachute wire. last year's Freshmen who developed "Smoother"
It had worked well at the last year’s balloon experiments, but it is first-time launch for them. The result, it was successfully launch the rocket, and Cansat was released. But mission of “Smoother” failed with free fall. Disconnection of parachute wire was due to a shock pressure that occurred during release from the rocket, and then, free fall was occurred. 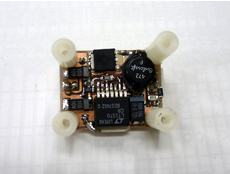 In this case, the shock pressure acting on parachute wire seems to be around fifty times as much as Cansat’ weight. The real causes of the failure were lack of research about rocket and communication with Wakayama Univ. It was our fault. It would be good lesson for us and for all participants. 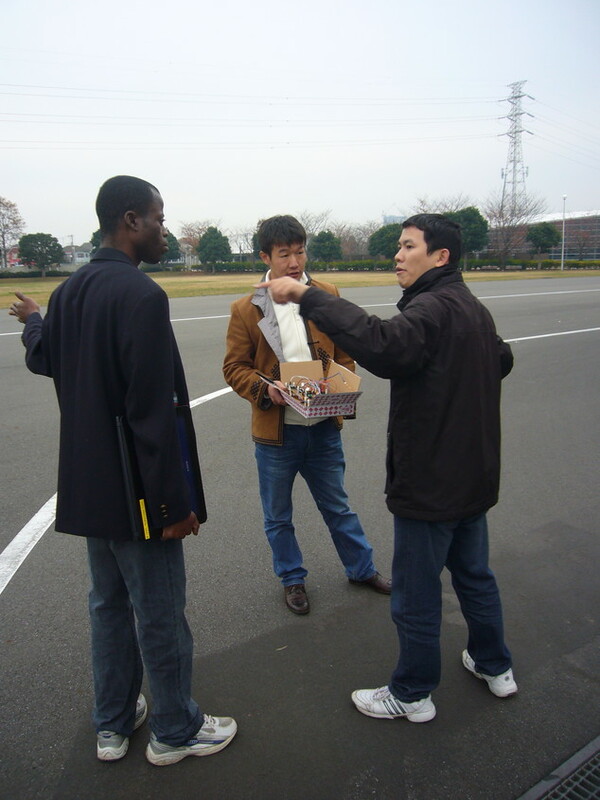 However, the parachute of Cansat is not found yet. We will search and rescue it again in a few days. 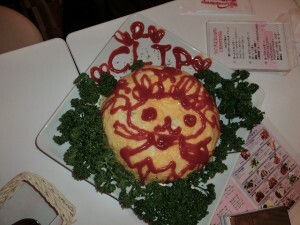 By the way, Mr. Leo, who is an observer of CLTP2, will go back home country tomorrow. Thank you for your kind speaking English, I miss you and your lecture about “Lunch box”. 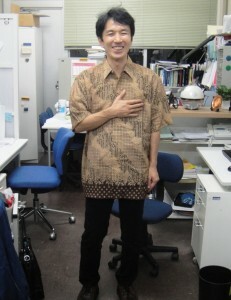 I never forget you, your smile, and “lunch box” lecture! 13:00-14:00 having lunch with mentors. 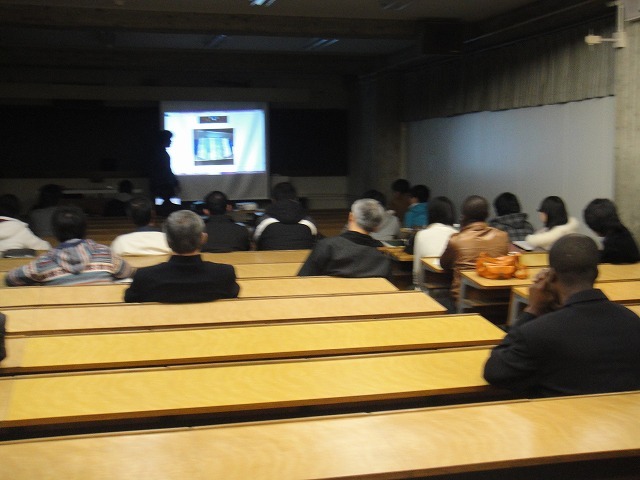 the meeting of "Eisei Koubou"
We had lectures in the morning. 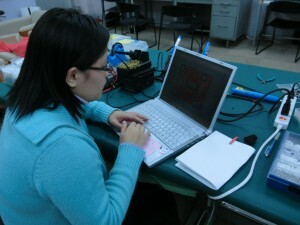 Then, we determined the mission of Cansat at 14:00-17:00. At last, we took part in the meeting of “Eisei-koubou”. 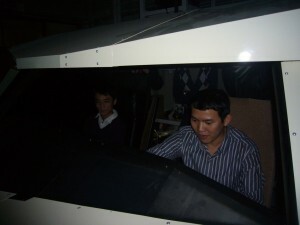 We will observe rocket test flight tomorrow.